Whether its Facebook or LinkedIn, being used on your Website or in a Magazine your head shot portrait is now essential to your business and visual communications. As a specialist in making people look great, award winning photographer Mark Cleghorn has made professionals look more confident and approachable for decades. His expert use of light guarantees that everyone looks like a professional no matter who they are. From CEO to the Mail man, Sole trader to Celebrity all his clients value the professional images that he creates for them. Thanks to the web and social media our image is more important than ever. 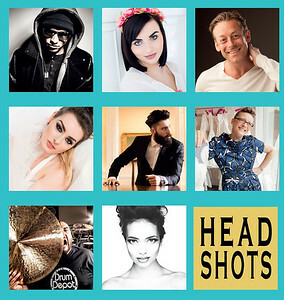 Our Studio or Location Head Shot options are perfect for all types of wants and needs. Starting as little as £99 for a studio package including digital files or £150 for a location visit. We shoot strong professional portraits that are often described as dynamic character headshots. Using a variety of styles we can create anything from a cinematic celebrity image to a soft warm portrait.